From the Gateway Arch to the St. Louis Cardinals to the Anheuser-Busch Brewery and a swanky casino, downtown St. Louis is packed with amusements, and so is the rest of the city. 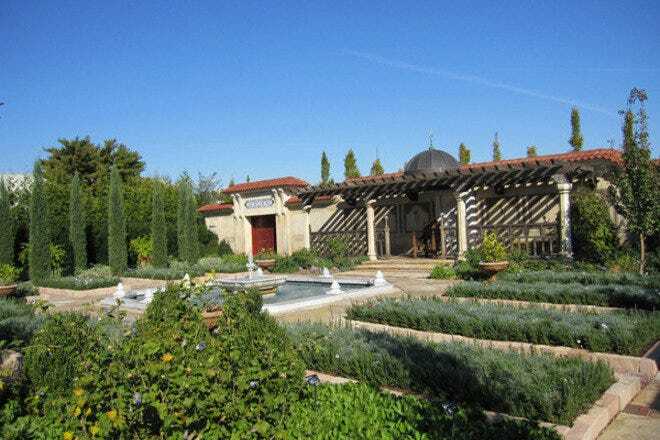 Forest Park offers the Missouri Botanic Garden, the SLAM and the Zoo, while Grant's Farm, Scott Joplin's home, Six Flags and other historic sites ring the city. Hot Tips: There is often a long line to go up into the Arch - and note that the stone entranceways, while quite pretty, also get very toasty in the summer. Be prepared with bottled water and patience. Hot Tips: Look for baseball ticket and hotel packages on most hotel websites. Downtown St. Louis is where the majority of the attractions are, and there are excellent hotels in every price range from which to choose. The lush Four Seasons is connected to a casino, while the Hilton is a quick walk to Busch Stadium, home of the Cardinals. A bit out of the main downtown area, the gorgeous Forest Park is home to the Chase Park Plaza. In the suburbs, options include the Ritz-Carlton, situated for businesses in the upscale Clayton area. Hot Tips: Review maps closely, as some hotels which say they are close to a downtown attraction take great liberty with the word 'close' - you could walk a mile. Dining is a delight in St. Louis, with an entire section of the city - The Hill - devoted to old-school Italian restaurants. Charlie Gitto's is perhaps the best known of all, although one can't go wrong in the area. Downtown offers the most gastronomic variety, with Eleven Eleven Mississippi and Anthony's popular for lunch and dinner; Blueberry Hill and the local soda shop Fitz's are two of the many Delmar Loop eateries. Hot Tips: Be sure to make reservations for most of the Hill's Italian restaurants - many are in small buildings and old houses, and they are packed on most nights. Hot Tips: A Fitz's Root Beer - at the factory and restaurant in the Delmar Loop - and take some home. Let's face it - American beer is synonymous with St. Louis - and there's always nightlife on tap here, both of the brewed and un-brewed variety. Try Schlafly's, Morgan Street and McGurk's for fresh brewed beer. Hit the Delmar Loop area for live music, downtown for blues and jazz clubs, Laclede's Landing for dance clubs and hook-ups, and Soulard or the Central West End for a little bit of everything. Hot Tips: Some Metrolink stations are located in areas some may find questionable after dark, but most downtown areas, and around the stadium and tourist sites are generally safe. St. Louis' many neighborhoods provide unique shopping, from the dozens of funky and alternative stores in the Delmar Loop to the newer offerings downtown, including fashion-forward boutiques and home decor stores. Plaza Frontenac is the luxury mall, the Central West End sports loads of small retailers through which to browse, and the Cherokee-Lemp historic district is full of fantastic antiquing. Hot Tips: Most of the neighborhood and downtown shops are closed on Sundays. Hot Tips: A six-pack of beer - whether craft beer, root beer or good ole' AB. Five of St. Louis's most unique features and characteristics. There are 79 distinct, government-designated, neighborhoods in St. Louis, more than in any other city in America. This results in a variance of experiences and cultural flavors throughout the city. Downtown is the business and financial hub of the city, but it also offers a number of noteworthy attractions, not least of which is the iconic St. Louis Gateway Arch. Laclede's Landing, once a thriving industrial district, has seen most of its warehouses and buildings converted into trendy restaurants and nightlife spots, though the cobblestone streets remain, and you can ride through them on horse-drawn carriages. 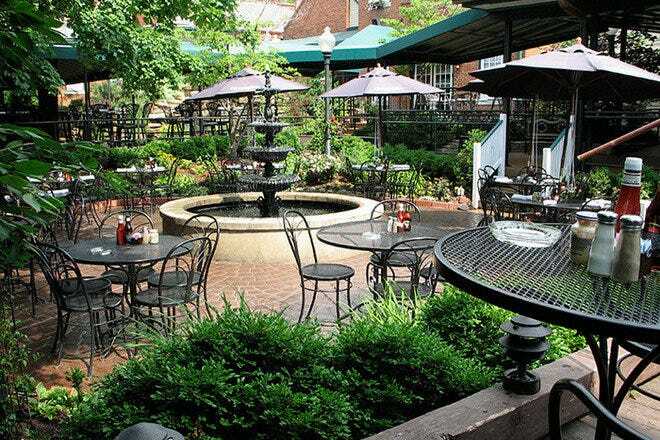 Soulard is St. Louis's oldest neighborhood, and today it draws a younger crowd to its clubs, lounges, and upscale restaurants. St. Louis is positively brimming with historic sites and landmarks. The Gateway Arch is far and away the most prominent, and with good reason; not only is it the tallest national monument in the world, it's responsible for St. Louis's most popular nickname, "Gateway to the West." The Arch is located in the Jefferson National Expansion Memorial Park, where you'll also find the Museum of Westward Expansion, the Old Courthouse (site of the Dred Scott slavery case), and the first cathedral to be erected west of the Mississippi. Elsewhere, the Cathedral Basilica of St. Louis is worth visiting if for no other reason than because it houses more mosaic art than any single place in the world. The primary reason for St. Louis's association with beer is the presence of the Anheuser-Busch brewery, one of the world's largest and most recognized brewing facilities. Even if you're not a fan of beer, a tour of this site is worthwhile. You'll visit the historic Budweiser Clydesdale Stable, watch beer being made in the Brew House, and stroll through cellars where it's aged, all while sipping on samples (if you're 21 or up, of course.) There are also quite a few craft breweries that offer a more intimate glimpse into the making of higher gravity beers in the area, such as Square One, Six Row, and Urban Chestnut. Though it's not widely known by the general public, St. Louis was (and remains) a center for musical innovation and talent, particularly at the turn of the 20th century. Jazz, blues, and ragtime are all deeply entwined in the city's culture and history, and classical music is very prominent in the city. Legendary Chuck Berry has deep ties to St. Louis, and performs in clubs throughout the city to this day. Miles Davis also spent a great deal of time performing and composing here. 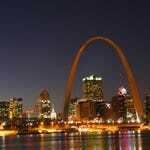 St. Louis is also home to the second oldest symphony orchestra in the US, which, to date, has won six Grammy awards. St. Louis is a town for sports fans in general, but most especially baseball fanatics. The St. Louis Cardinals lay claim to 10 World Series championship titles, putting them second to the Yankees. They are one of Major League Baseball's oldest franchises, and because of all this taken together, St. Louis locals are fanatically devoted to them, so much so that St. Louis is sometimes called "Baseball City." Football, and the St. Louis Rams, are also wildly popular in the city. St. Louis is also one of a very few US cities with a strong and sustained interest in professional soccer, as well as a long history with involvement in the sport.